What fun we had making our new Halloween digital alphabet! It’s eerie, spooky and everything wonderful Halloween goodies ought to be. It’s great for dozens of projects and it’s printable, too. 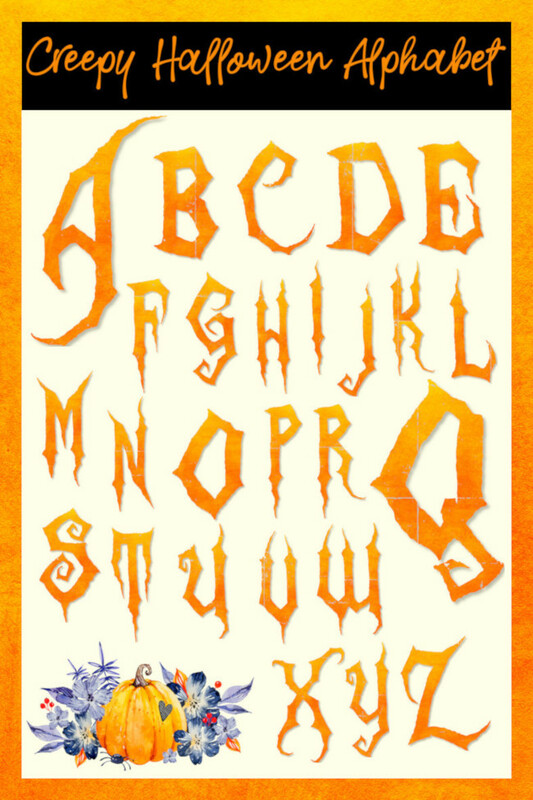 The alphabet letters are a generous 6″ tall and they’re 300 dpi which is the required resolution for prints that pop. So if you love witches, goblins, vampires and other scary Halooween creatures, check out our wonderful printable Halloween alphabet.